We are proud to announce that you can now easily purchase our Spring Package on our website! 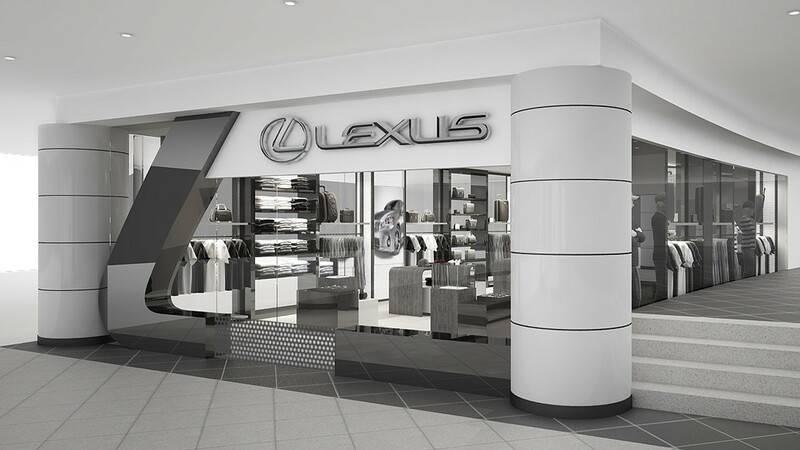 How it works – Purchase your Spring Package on LexusOfManhattan.com and REDEEM AT YOUR CONVENIENCE. NO APPOINTMENT NECESSARY. Bring a printed or emailed copy of your receipt to confirm your purchase. We are proud to announce that you can now easily purchase an Oil Change and Exterior Wax Detail Package on our website! How it works – Purchase your Oil Change and Exterior Wax Detail on LexusOfManhattan.com and REDEEM AT YOUR CONVENIENCE. NO APPOINTMENT NECESSARY. Bring a printed or emailed copy of your receipt to confirm your purchase. We are proud to announce that you can now easily purchase Roof Rail Crossbars on our website! How it works – Purchase your factory Roof Rail Crossbars on LexusOfManhattan.com and REDEEM AT YOUR CONVENIENCE. NO APPOINTMENT NECESSARY. Bring a printed or emailed copy of your receipt to confirm your purchase. We are proud to announce that you can now easily purchase our Pot of Gold Package on our website! How it works – Purchase your Pot of Gold Package on LexusOfManhattan.com and REDEEM AT YOUR CONVENIENCE. NO APPOINTMENT NECESSARY. Bring a printed or emailed copy of your receipt to confirm your purchase. We are proud to announce that you can now easily purchase an Oil Change on our website! How it works – Purchase your Oil Change on LexusOfManhattan.com and REDEEM AT YOUR CONVENIENCE. NO APPOINTMENT NECESSARY. Bring a printed or emailed copy of your receipt to confirm your purchase. This service also comes with a full multi point inspection and a full service car wash.
We are proud to announce that you can now easily purchase a Basic Maintenance Package on our website! How it works – Purchase your Basic Maintenance Package on LexusOfManhattan.com and REDEEM AT YOUR CONVENIENCE. NO APPOINTMENT NECESSARY. Bring a printed or emailed copy of your receipt to confirm your purchase. This service also comes with a full service car wash.
We are proud to announce that you can now easily purchase an Advanced Maintenance Package on our website! How it works – Purchase your Advanced Maintenance Package on LexusOfManhattan.com and REDEEM AT YOUR CONVENIENCE. NO APPOINTMENT NECESSARY. Bring a printed or emailed copy of your receipt to confirm your purchase. We are proud to announce that you can now easily purchase a Tune Up Package on our website! How it works – Purchase your Tune Up Package on LexusOfManhattan.com and REDEEM AT YOUR CONVENIENCE. NO APPOINTMENT NECESSARY. Bring a printed or emailed copy of your receipt to confirm your purchase. Purchase on LexusofManhattan.com and visit our dealership to have it installed at your convenience, no appointment necessary. Bring a printed or emailed copy of your receipt to confirm your purchase. An official NYS Safety and Emissions inspection performed by our Lexus Factory Trained Technicians. Battery Replacement not only includes installation by a factory trained Lexus Technician, but also includes an 84 month pro-rated warranty. A complimentary vehicle charging system check is also provided at no cost with the purchase of this service. Purchase on LexusofManhattan.com and visit our dealership to have it performed at your convenience, no appointment necessary. Bring a printed or emailed copy of your receipt to confirm your purchase. Over time, especially when driving on NYC roads, your vehicle’s wheels fall out of alignment. Misaligned wheels/tires wear more quickly and can lead to unsafe driving conditions. Severe misalignment will result in a noticeable pulling of your vehicle from one side to another. While a vehicle’s alignment can be affected by a major impact, alignments should typically be performed every 10k – 15k miles based on driving conditions. Purchase on LexusofManhattan.com and visit our dealership to have it performed at your convenience. Bring a printed or emailed copy of your receipt to confirm your purchase. Includes: Replacement of the engine timing belt with genuine Lexus parts. Replacing the timing belt is absolutely crucial. The timing belt is an integral part of your engine and, if it fails, so does your engine, causing your car to shut down. When the timing belt breaks, the valves, which are very light, will open at the wrong time and hit the larger pistons and cause damage to the engine. *This service does not include replacement of the Water Pump. Rotating your tires is an essential component of properly maintaining your tires. Failure to rotate your tires will result in premature and uneven wear, which could cause unsafe driving conditions and more frequent replacement of tires. Tires should be rotated every 5k miles. The Air Conditioning Filter in your vehicle filters the pollen, pollutants, and dirty air flowing through your vehicles cabin. Like an air conditioning filter in your home, over time your vehicle’s filter becomes dirty and needs to be replaced. Your filter should be replaced regularly (every 1 year or 10k miles) to maintain healthy air quality in your vehicle.